Well, I finally found a time where the oven was not being taken up for mass quantities of zucchini bread so I could finally finish my Barbie Shrinky Dinks craft! 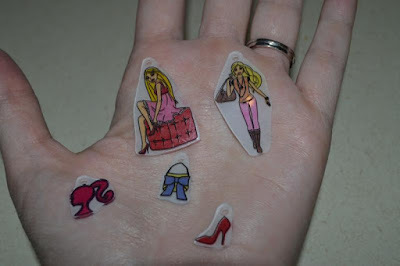 If you missed it, you can find how I acquired these Shrinky Dinks in my Part 1 post here! I had a hard time picking out colors but I think I did pretty good. I did copy the schemes for a few of the pieces, mainly the poodle and the Barbie Ponytail silhouette. 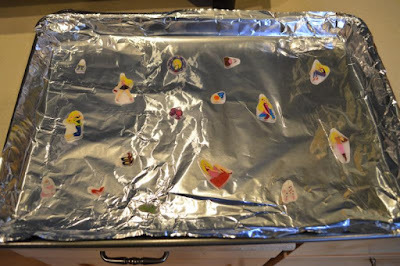 After coloring you put them on a baking sheet rough side up. And let's check sizes before we bake. You can see that one of the larger pieces is about 3 1/2 inches tall, one of the accessories is about 1 1/2 inches tall. Time to go into the oven! 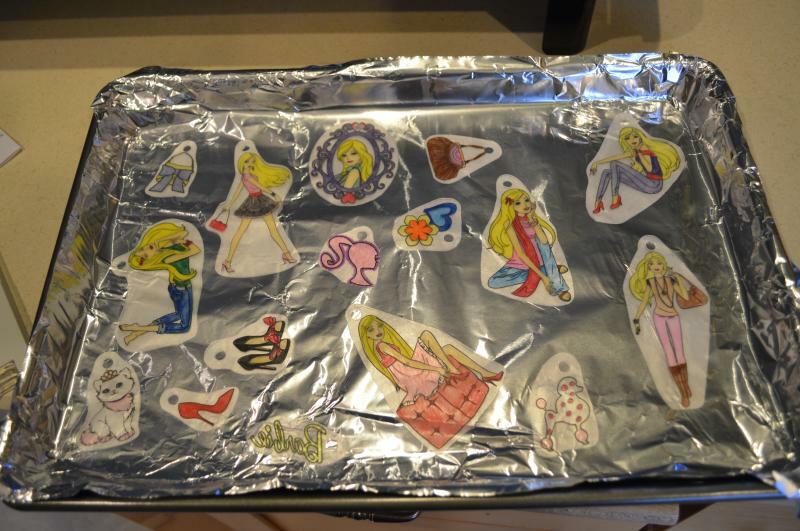 I couldn't get pictures of the shrinking process because our oven has a grill through the window so I couldn't get a good focus. This entire process took about 2 minutes tops. They curl up (almost to the point where they fold in half) then flatten back out. Voila! WOW, that is drastic! I had forgotten how small they actually get. Cuteness! Let's check just how small they got! 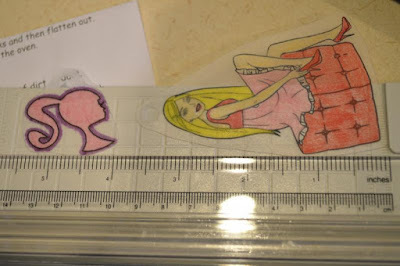 Our large Barbie shrunk 2 whole inches, she is now 1 1/2 inches tall. The accessory shrunk to a tiny 1/2 inch. 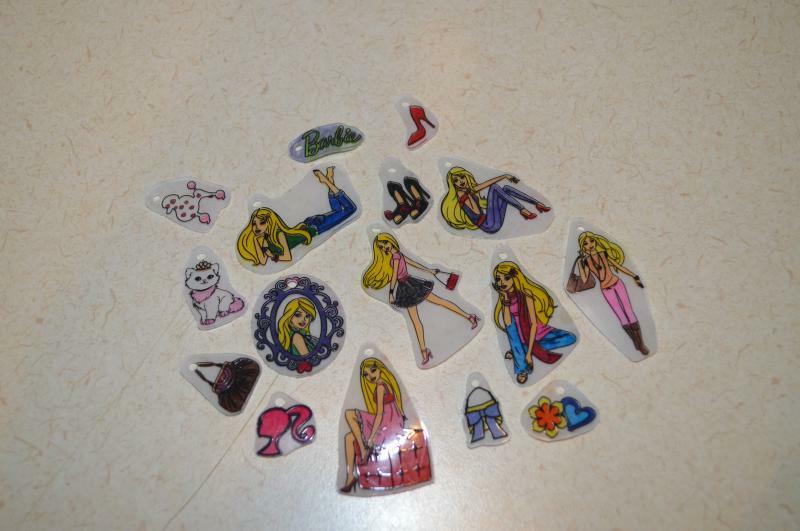 These are the perfect size to make the charm bracelets out of. 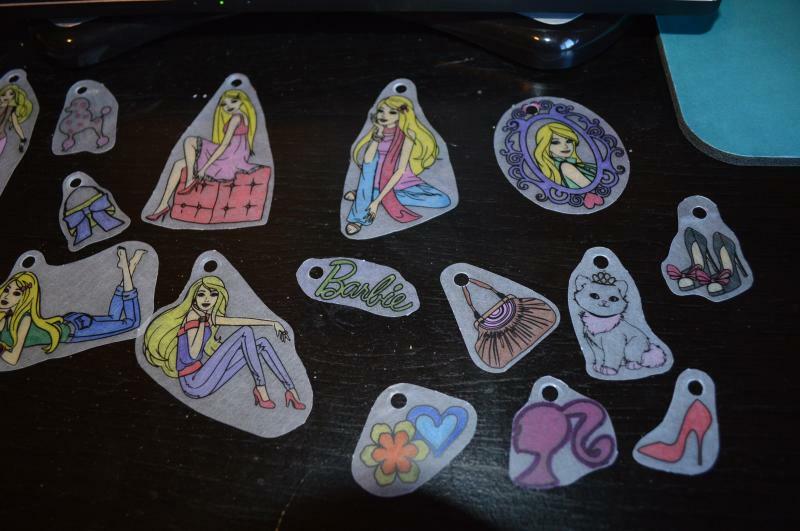 I don't know if I will make the bracelets or not. 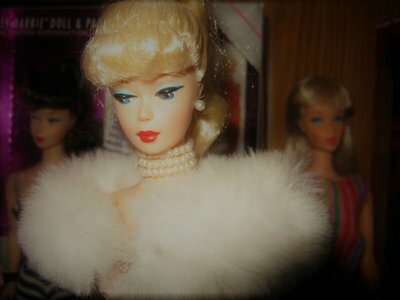 I might run a pretty ribbon through the top of them and hang them from my Barbie shelf. Don't know yet! I think they turned out good and I'm glad I used the colors that I did. If you get the chance to do these with your kids (or just by yourself like I did!) they are a ton of fun. 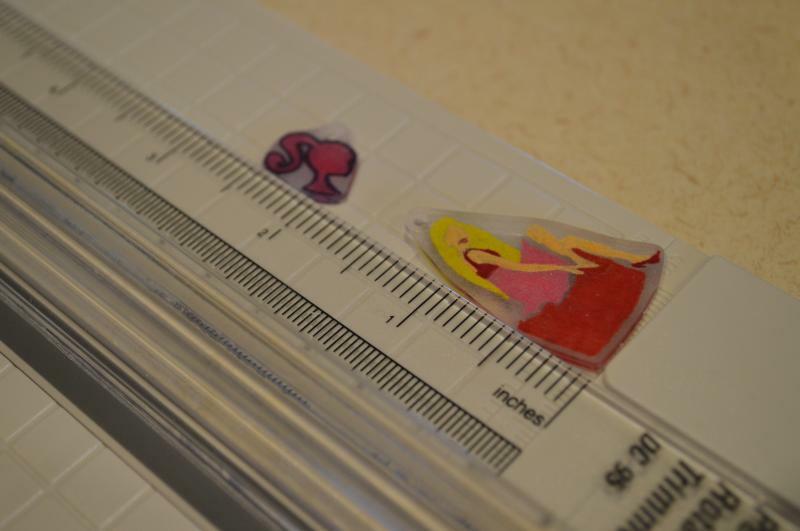 And the bracelet kit you get with this would be awesome for a little girl. Friends, have any other fun crafty ideas I can use for these shrinky dinks? Let me know in the comments! 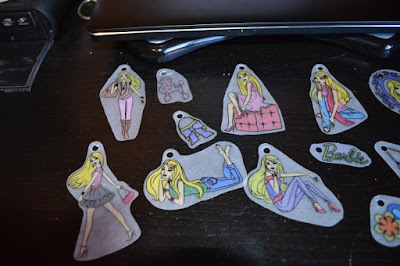 Coming up next post....the Ever After High comic! Your pendants turned out super cute. I wonder if the scraps of the shrinky dink foils could be used to make pendants for Barbie as well. Yes, I've seen some posts claiming you can use the plastic of food containers. But I'm too chicken, to try it. You never know if they develop toxic fumes. My Ever After High Comic!